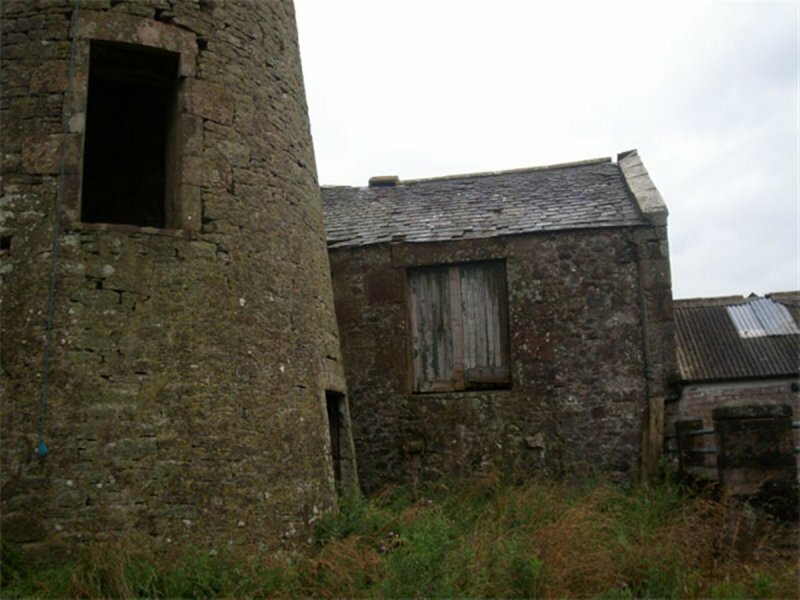 August 2008: External inspection reveals that the windmill has lost its roof, windows and door. There are large gaps in the pointing across the bulk of the structure. There are pigeons resident in the upper floors. 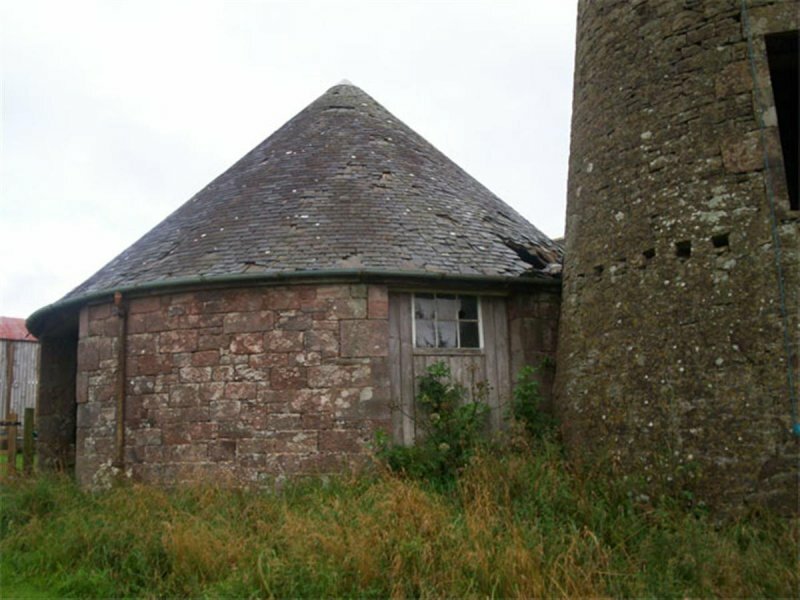 The associated horsemill and steading ranges are in poor condition with numerous holes in the roof or sections which have partially collapsed. 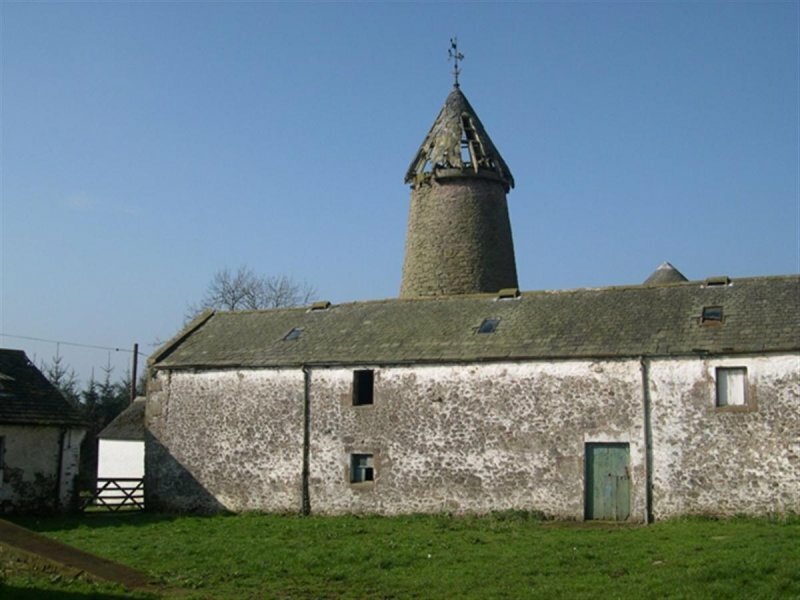 October 2008: The current owner of Shortrigg contacts SCT with details of their restoration plans and forwards images of the complex. 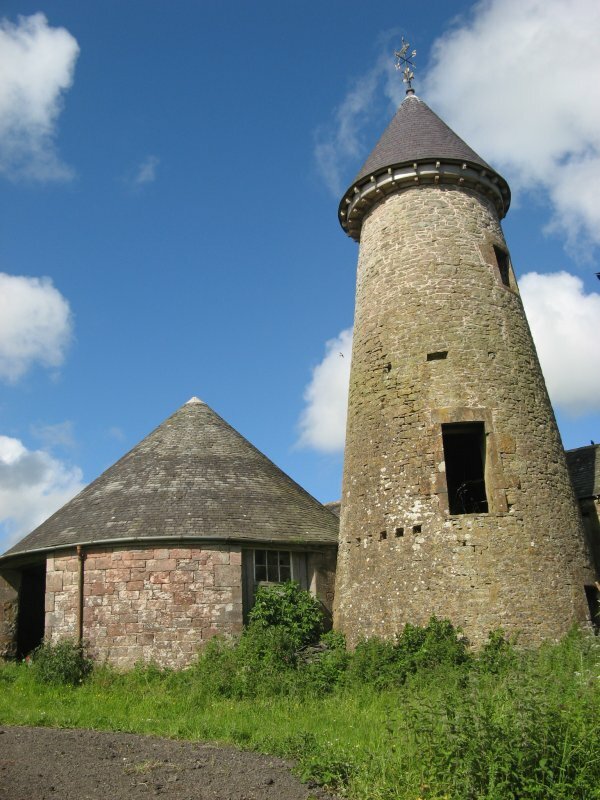 The windmills cap was removed 2 yrs ago to avoid the risk of total collapse. 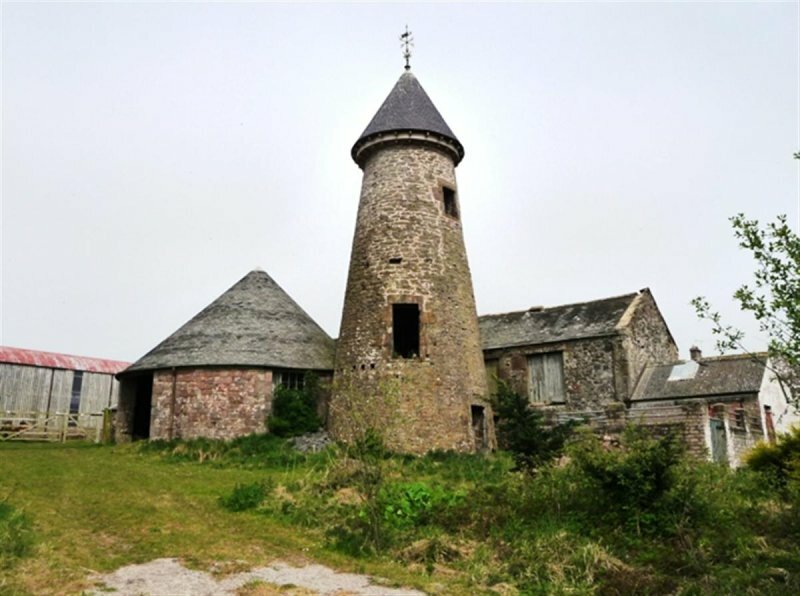 A replacement weathervane has been commissioned, a replica cone is hoped to be ready for installation in the next few months, at which time the horse-gin roof will be reslated. 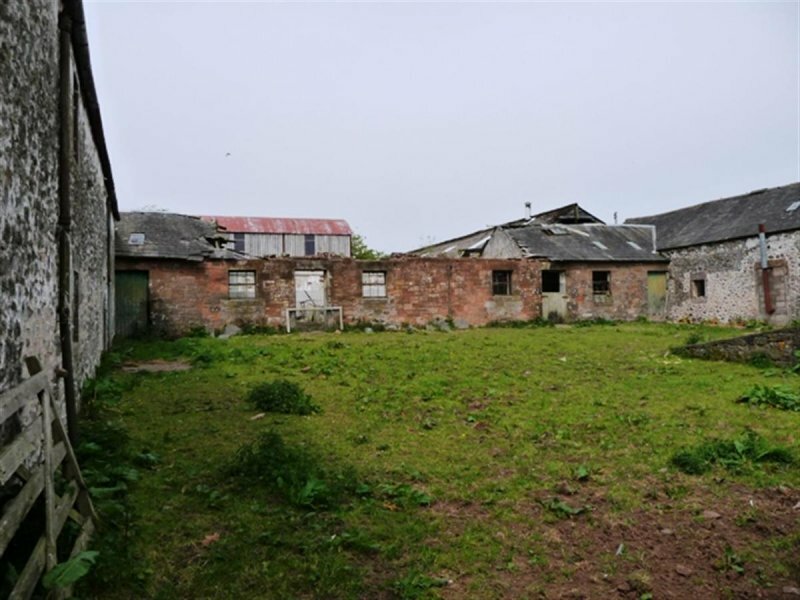 They are engaged in discussion with Historic Scotland, and other agencies to secure the future of the site. 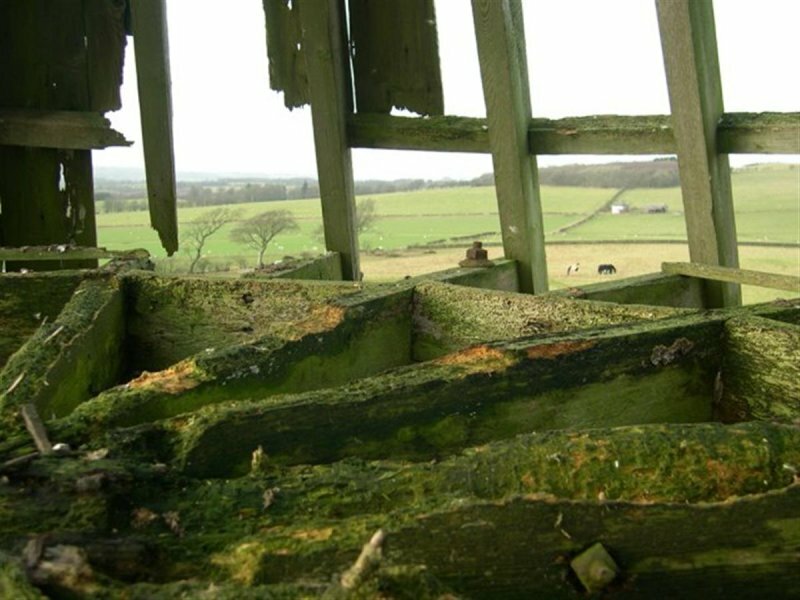 May 2011: External inspection finds significant progress has been made on the restoration of this group. 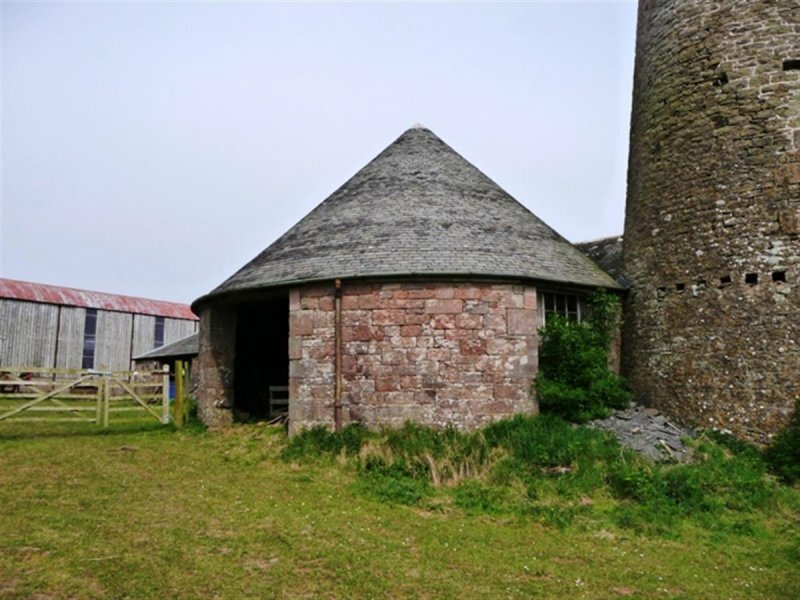 A new roof has been constructed on the windmill and roof repairs have been made to other elements. 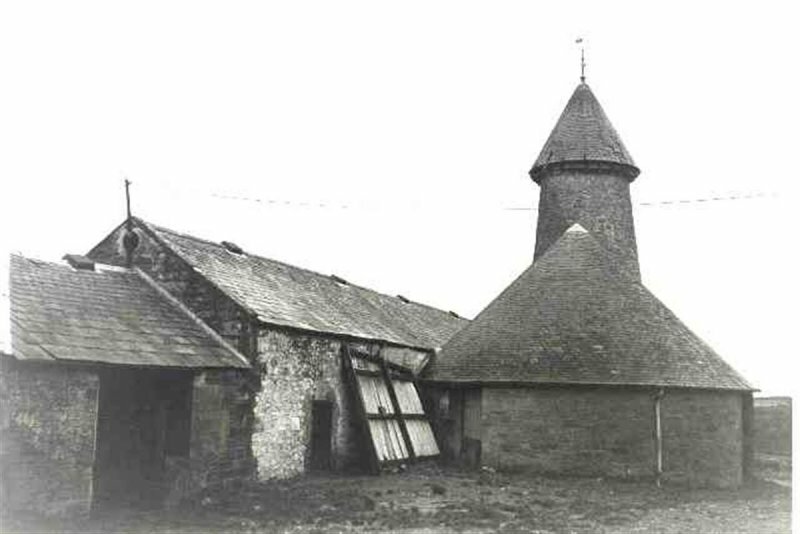 The mindmill has extensive repointing. 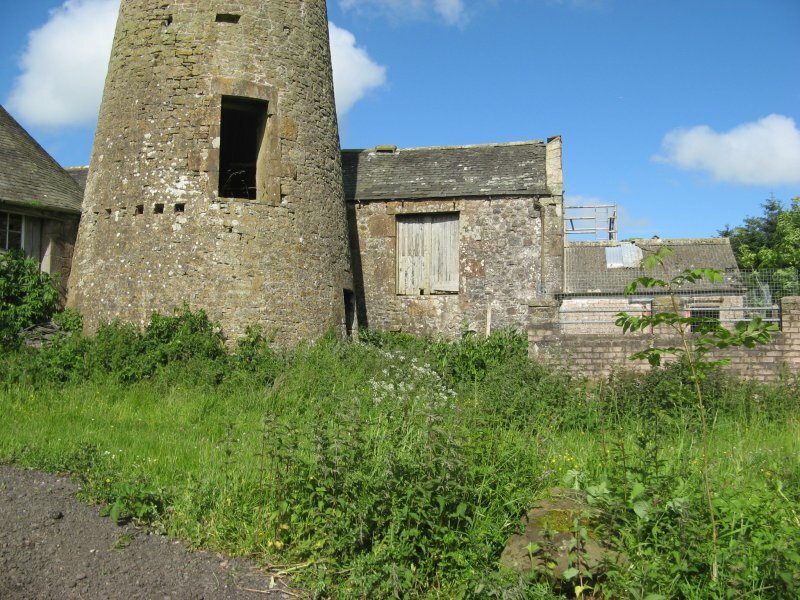 Still to be addressed are plant growth up against the buildings and making them wind and water tight. Moved to Restoration in Progress. 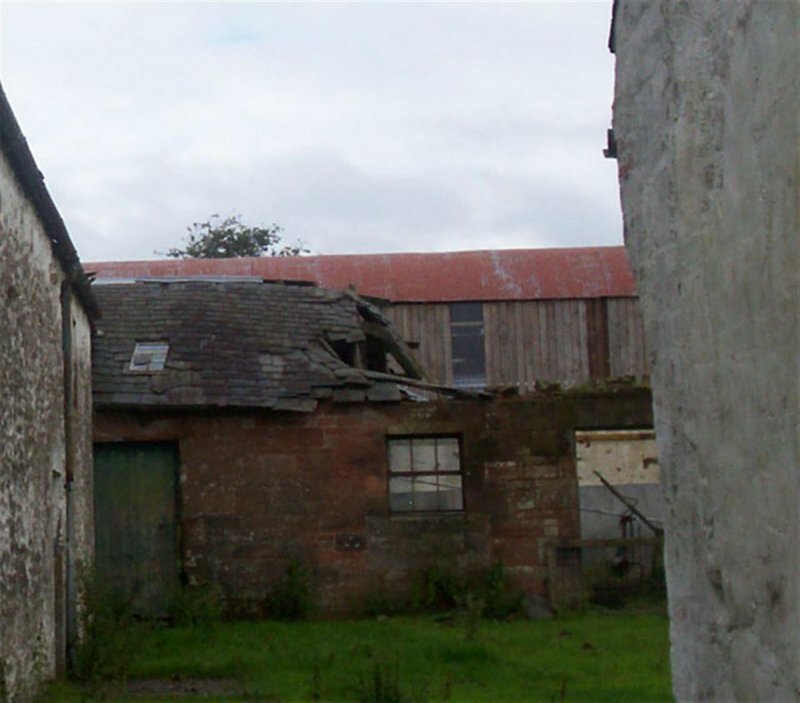 10 June 2014: External inspection finds restoration works continue. 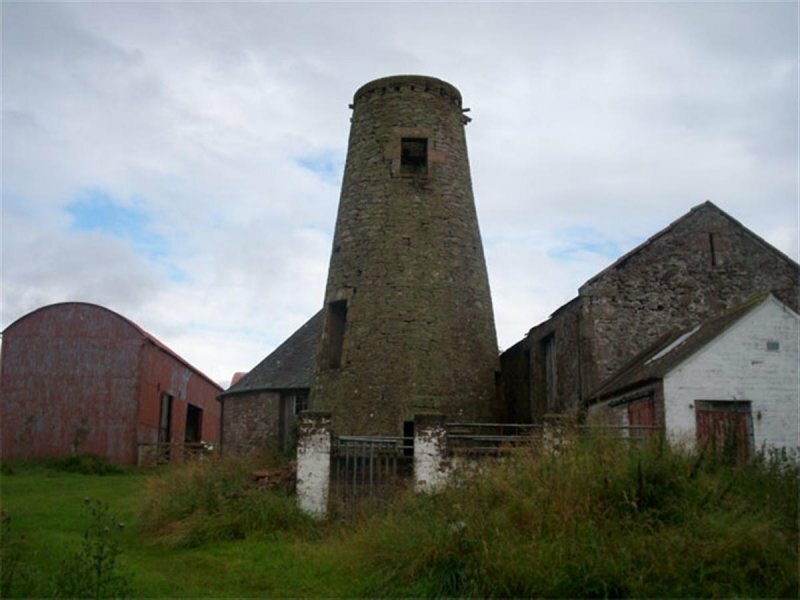 Douglas, Oglethorpe and Hume, SCOTTISH WINDMILLS, 1984. pp. 24 and 41-2. Gifford, DUMFRIES AND GALLOWAY, 1996 p.302.